Following are visualizations of data. 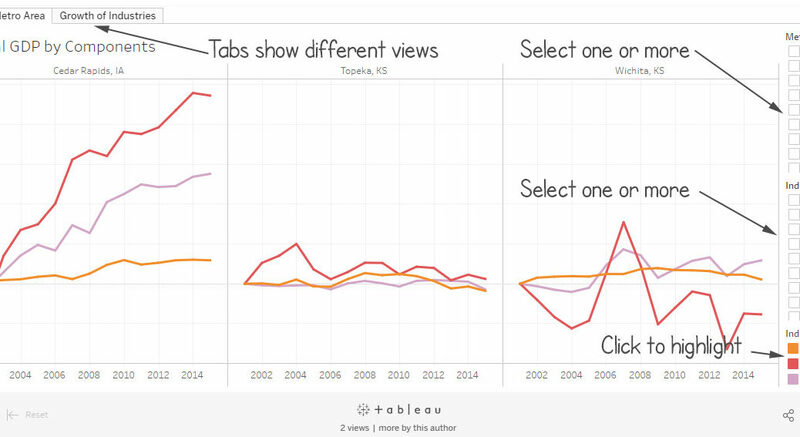 Many are interactive and created using Tableau Public. In some cases I’ve recorded myself using the visualization to tell a story, and all you have to do is watch. 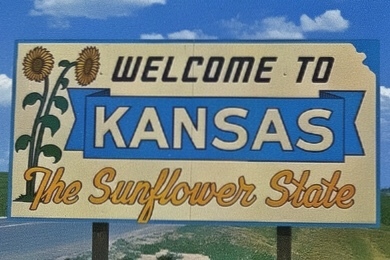 In some cases, jurisdictions may levy additional taxes that may not be paid to the Kansas Department of Revenue. This is the case with the Wichita city tourism fee, which took effect on January 1, 2015. This tax of 2.75% is paid directly to the city1, so it doesn’t appear in KDOR figures. The visualization has three views of data. One is a table of collections, including percent change from the previous year. A line chart shows the dollar amount of collections. 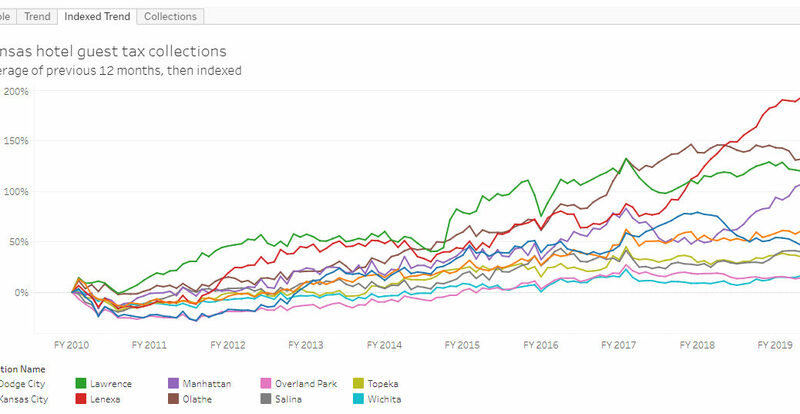 A second line chart shows collections indexed to a common starting point. This is useful for comparing the relative change in guest tax collections. 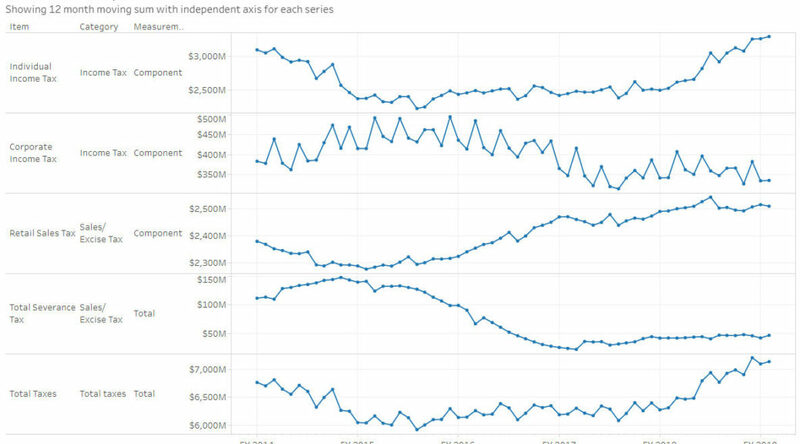 These line charts show data as the average of the previous 12 months. 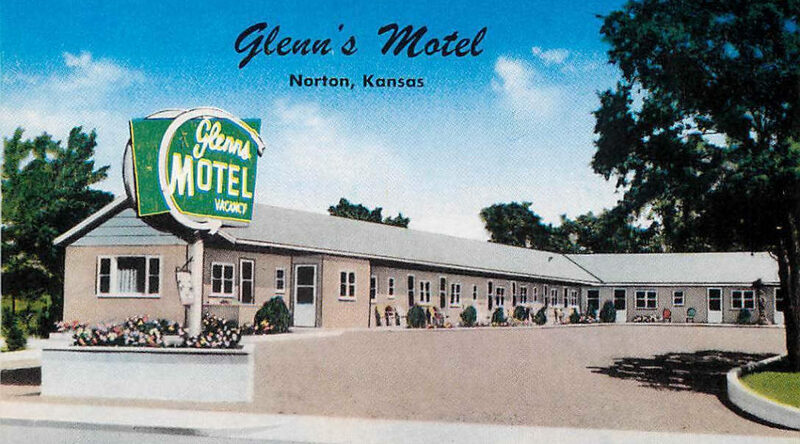 This data does not represent all hotels in Kansas. Confidentiality rules prohibit disclosure when a jurisdiction has a small number of hotels. In the nearby example, the value “C” is reported for Sedgwick County, indicating such non-disclosure. Obviously, there are hotels in Sedgwick County. But considering hotels in Sedgwick County that are not located in cities like Wichita, the number is too small to report, based on confidentiality guidelines. Similarly, for small cities, data is probably not available to the public. 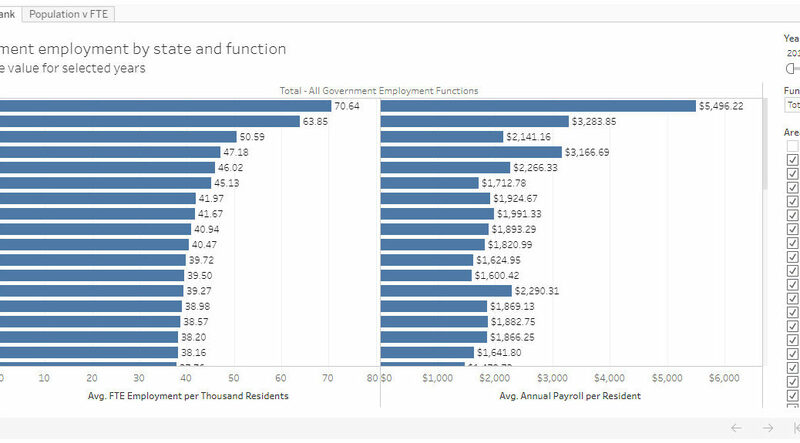 Of this data, KanView advises: “Agency expenditure data is available by Agency Fund Type, Agency Primary Expenditure Accounts, and by Agency Program.” The various views of the visualization show this data arranged in these ways. State expenditures are classified at a primary, intermediate, and detail level account codes. These classifications facilitate the various levels of reporting detail required for budgetary, financial, management, or other reports. Seven primary expenditure classifications are prescribed. Intermediate classifications are assigned within each primary classification. Within each intermediate classification is the detail classifications used to code accounting transactions. 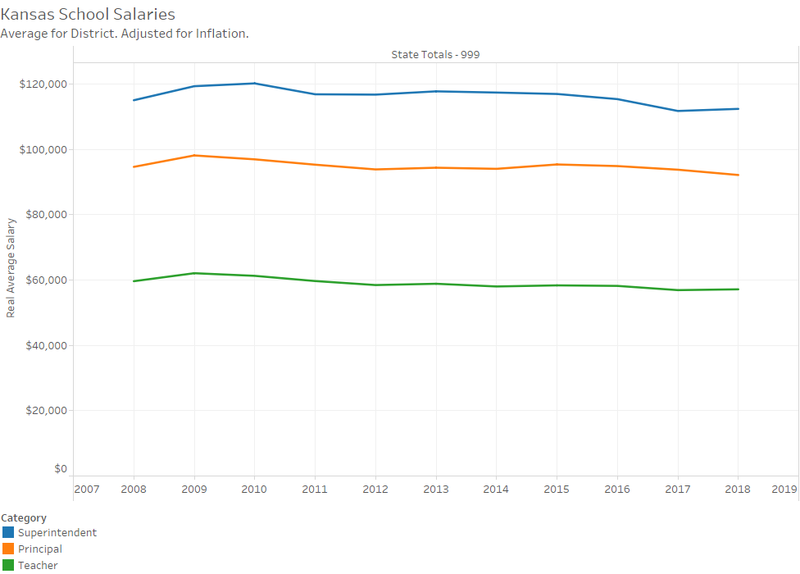 Salaries and Wages: Amounts paid to, or on behalf of, elected or appointed state officials and employees. Contractual Services: Payments for communications, freight and express, printing and advertising, rentals, repairing and servicing, employee travel expense reimbursement, utilities, and professional or other services. Commodities: Payments for consumable supplies, maintenance materials and parts, and other miscellaneous purchases. Capital Outlay: Payments for machinery, equipment, land, vehicles, buildings and other major purchases. Grants, Claims and Shared Revenue: Disbursements for grants, claims, shared revenue and other related disbursements where the disbursing agency does not receive a direct service or tangible asset. Debt Service: Payments of principal, interest and service charges on borrowed money. Non-Expense Items: Disbursements for refunds, advances, investments and other disbursements not properly classified as governmental expenditures. Expense Transfers: Agency use of transfer account codes is generally only on interfund transactions between state agencies. Transfers move cash from one fund to another fund within the State Treasury. 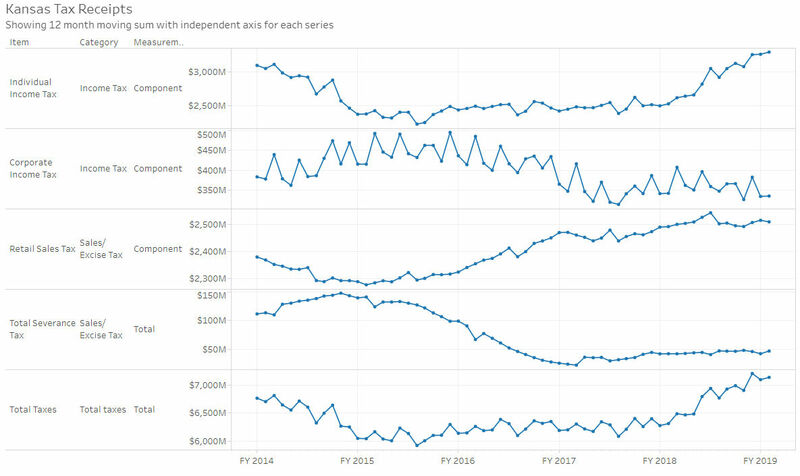 The function view identifies expenditures for high-level activities and programs of the State, upon selecting a high-level function, specific programs within this function can then be displayed for a particular state agency. Major State Functions include: General Administration, Human Resources, Education, Public Safety, Agriculture and Natural Resources, Highways and Other Transportation, Health and Environment, Economic Development, Lottery, and Universities. A “fund” is the fundamental unit of accounting designed to demonstrate legal compliance and to aid financial management by segregating transactions related to certain governmental functions or activities. Fund View initially displays the major fund types denoting the high-level purpose of the underlying funds as classified in the statewide accounting and reporting system. Upon selecting a major fund type, specific funds can then be displayed for a particular state agency. Each agency fund is further segregated by individual accounts (for budgetary or other legal requirements) which provides an additional level of classification. State General Fund: The primary operating fund of the State. It accounts for all financial resources of the State except those required to be accounted for in another fund. The state general fund is primarily supported by tax revenue. Special Revenue Funds: Funds established for specific purposes normally specified by state statutes, or in the case of federal grants, for purposes specified by the federal government. These funds are primarily supported by user fees or grants. Capital Projects Funds: Funds established to account for the acquisition and construction of major capital facilities other than those financed by proprietary funds and trust funds. Debt Service Funds: Funds established to account for the accumulation of resources and the payment of long term debt principal and interest. Enterprise Funds: Funds established to account for activities that are generally of a business nature where goods or services a sold to the general public or similar customer groups. Internal Service Funds: Funds established to account for goods and services provided to other state agencies or internal departments on a cost-reimbursement basis. Trust and Agency Funds: Trust funds contain monies received, held, and disbursed by the State acting as a trustee, agent, or custodian. Agency funds contain monies collected by the State as an agent and disbursed to other governments, businesses or individuals. Component Units Funds: Funds of component unit(s). A component unit is a legally separate organization for which the primary government is financially accountable. 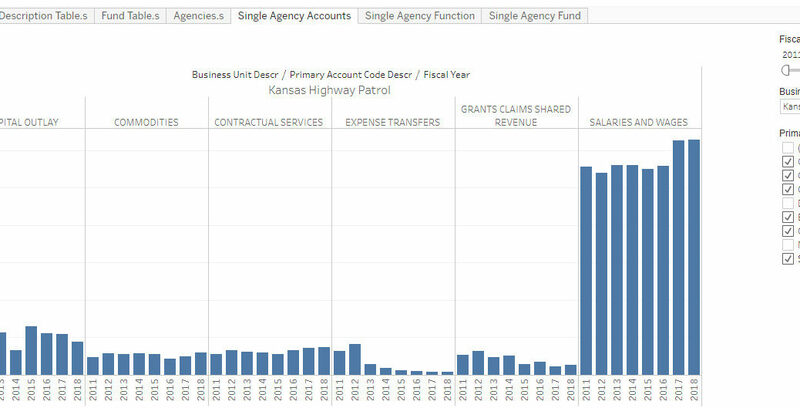 Data regarding State of Kansas payments to vendors. 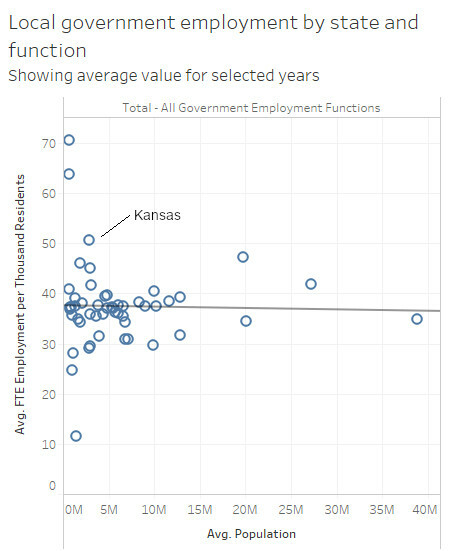 The source of this data is KanView, the Kansas transparency portal, through its download center. Data from multiple years are combined into one database. Data starts with July 1, 2010. This visualization is experimental. I would appreciate feedback on view of this data that would be useful. The visualization may be slow to respond, as it holds 7.3 million rows of data. 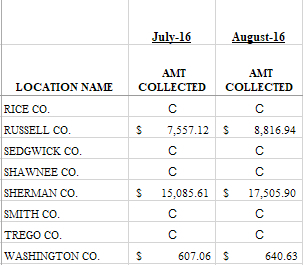 The Kansas Division of the Budget publishes monthly statistics regarding tax collections. I’ve gathered these and present them in an interactive visualization. Updated with data through October 2018. 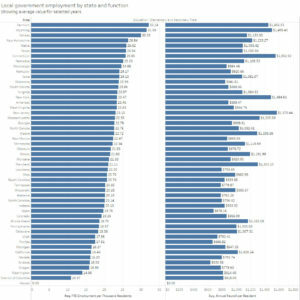 An interactive visualization of state government employment, grouped by state and function. These are state government employees only. 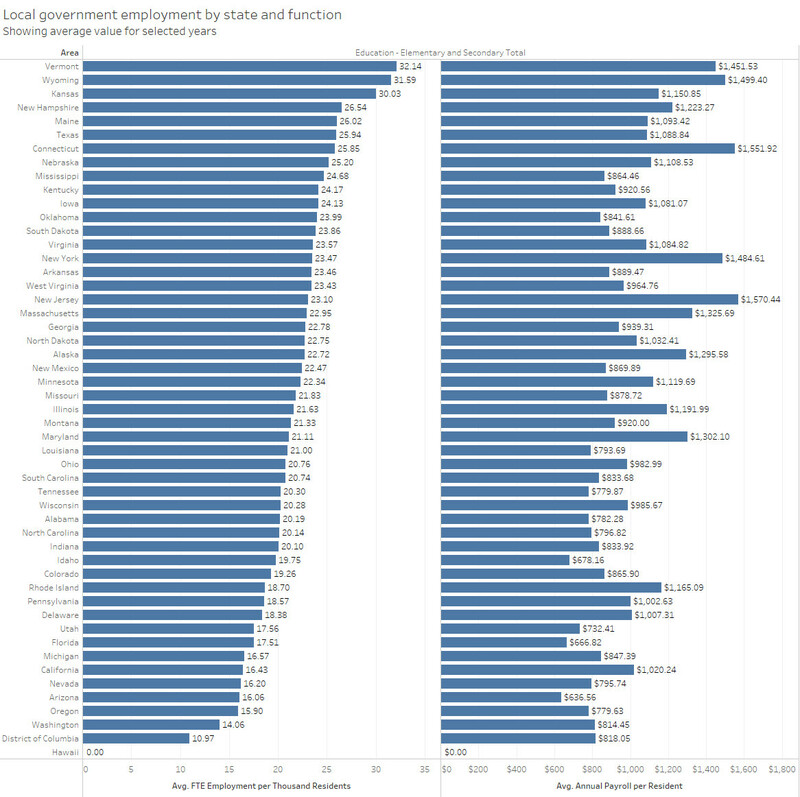 Local and federal government employees are not included. 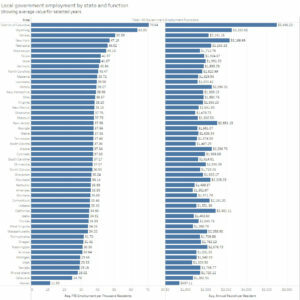 Source of data is United States Census Bureau, Local Government Employment and Payroll Data: March 2016. The program’s page is Annual Survey of Public Employment & Payroll (ASPEP). In the visualization, I’ve multiplied the March payroll number by 12 to produce an approximation of annual payroll. Using each state’s population for each year, I’ve also computed the annual payroll on a per-resident basis and the number of full-time equivalent (FTE) employees per thousand residents. 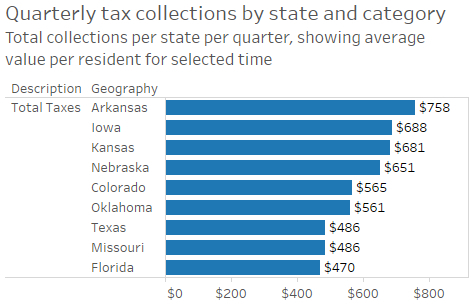 State and local tax collections presented in an interactive visualization. The Quarterly Summary of State and Local Government Tax Revenue provides quarterly estimates of state and local government tax revenue at a national level, as well as detailed tax revenue data for individual states. The information contained in this survey is the most current information available on a nationwide basis for government tax collections. This data is not adjusted for inflation. 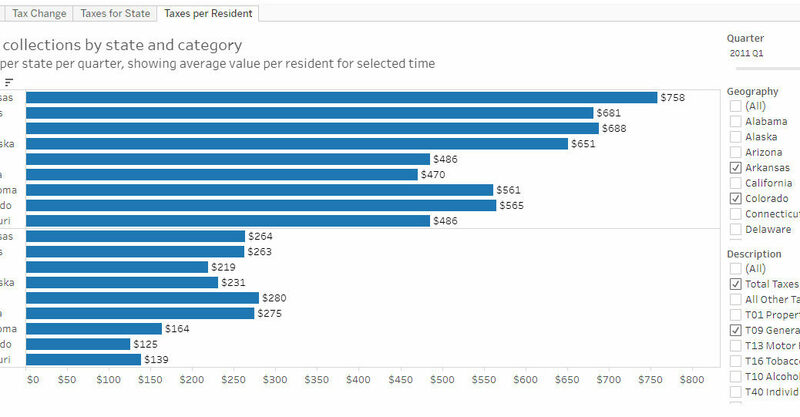 Some taxes, such a property taxes, show large seasonal variations. I’ve gathered the data and have made it available in an interactive visualization. There are several views of the data, represented by the tabs at the top. You may select a time frame, the states that appear, and the tax categories that appear. Wichita spending data presented as a summary, and as a list. As part of an ongoing transparency project, I asked the City of Wichita for check register data. 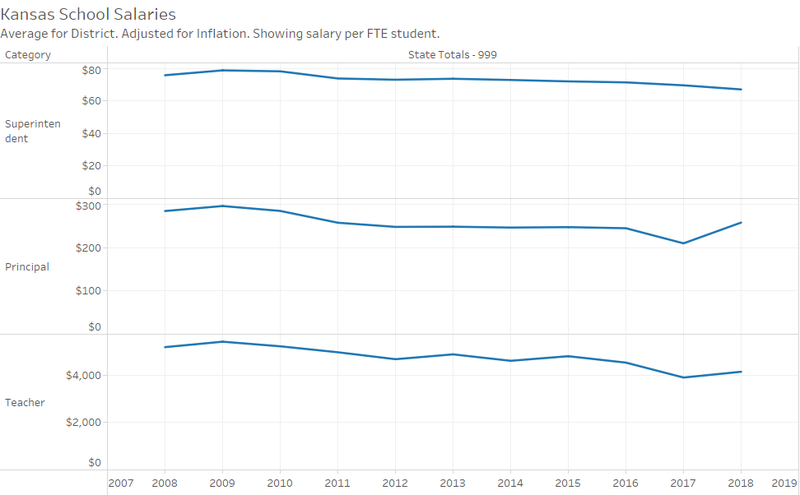 I’ve made the data available in a visualization using Tableau Public. This visualization is updated with data through August 31, 2018. To learn more about this data and use the visualization, click here. As part of an ongoing transparency project, I asked the City of Wichita for check register data. 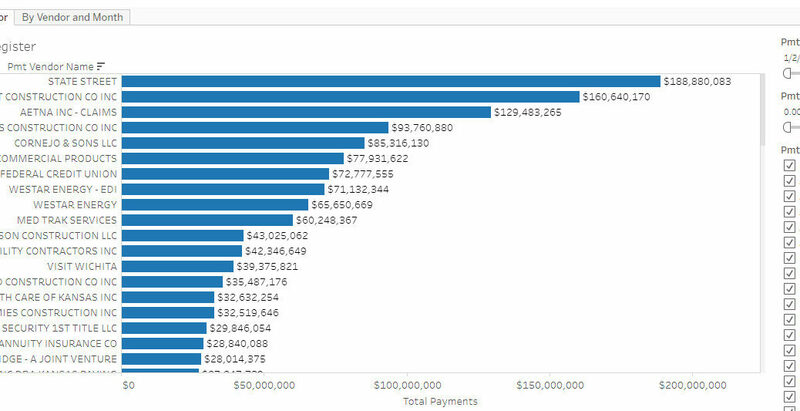 I’ve made the data available in a visualization using Tableau Public. Click here to access the visualization. To access a simple list in csv format, click here. It is by now routine for governmental agencies to post spending data like this, but not at the City of Wichita. Upon inquiry, city officials told me that the present financial management system “does not include many modern system features such as an ‘open checkbook.’” An “open checkbook” refers to a modern web interface where citizens can query for specific data and perhaps perform other analysis. An example is Denver’s open checkbook. We’ve been promised a modern system for many years. While the next-generation Wichita financial system will probably have such a feature, there’s no reason why citizens can’t experience some of the benefits now. The spreadsheet of spending data could easily be posted on the city’s website on a monthly basis. People like myself will take that data and make it more useful. The city has demonstrated that it is able to post documents to its website, so there is no reason why this should not be happening.